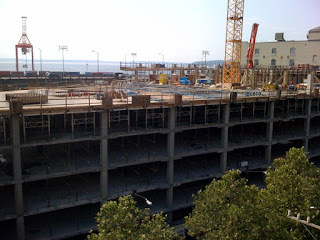 Starbucks' 287,00 SF development at 505 1st Avenue South is swiftly approaching its 7-story cap. Upon completion, this new addition to Pioneer Square will feature ~269,000 RSF of Class-A office, 17,400 RSF of retail, and 445 below grade parking stalls. 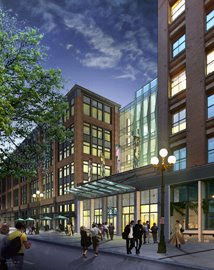 The project is currently slated for completion in March of 2010 and is targeting a LEED Silver designation. No tenants have been announced yet.